← Mandrakes and Dove Blood: Biblical Health Care Anyone? 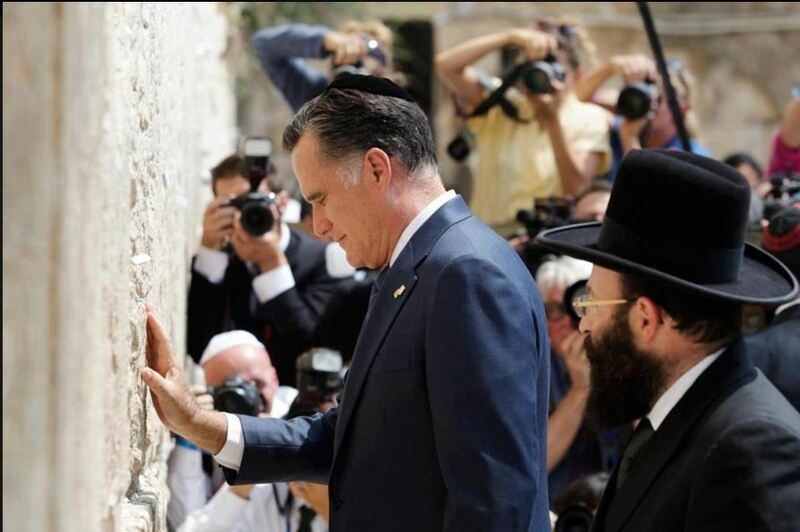 While in Jerusalem Mitt Romney made an appearance at the Wailing Wall in a Yarmulka. Was he just trying to pay tribute to Orthodox tradition or does he think he’s a Jew? Perhaps both. Within the broader narrative of Chosen People are stories of chosen sons and mothers who compete viciously to ensure their sons receive extra standing or privilege. Father Abraham and Yehovah both favor Isaac over Ishmael, Abraham’s son born of the slave woman, Hagar. Isaac and Yehovah favor his son Jacob over his son Esau. Jacob and Yehovah favor the sons of his wife Rachel over those of her ugly older sister Leah. They favor Joseph most of all, which is why his brothers throw him into a pit and sell him to an Egyptian slave trader where he becomes a confidant of the Pharaoh, ultimately ruling over them all. Among those in the know, announcing that someone is the heir of Joseph is indeed a patriarchal blessing—a pronouncement that he has the most favored bloodline out of the favored twelve. Are Mormon Underwear Magic Between the Sheets? Gallery | This entry was posted in Christianity in the Public Square, Uncategorized and tagged Christian numerology, Ephriam, Israel, Jackson County Missouri, LDS Church, Manasseh, Mitt Romney, Mormon blessing, Mormon garment, Mormonism and Freemasonry, patriarchal blessing, polygamy, twelve tribes of Israel, Zion. Bookmark the permalink. 4 Responses to Does Mitt Romney Think He’s a Jew? Thanks for writing again on this… I have interest in it but lack the time to go digging myself. However, the knowledge of Mormonism I have obtained, mostly many years ago, completely confirms what you are contending. I agree Romney must believe Zion is his inheritance. And the supercessionist views Mormons hold apparently are similar to those of most fundamentalist/evangelical Christians. However, if anything, they are probably more literalist, and with the important addition you point out, that the “New Jerusalem” will be in America (and literal geography, I’d imagine — to most). 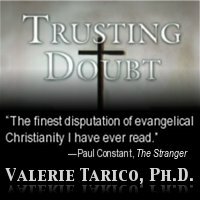 This relates to perhaps the single strongest factor in why I do think religious beliefs matter in the election of officials at all levels, including POTUS. (Not a “religious test” officially, of course, but a valid voting consideration.) That factor is developmental level as it is wrapped up together with literalist and “tribe-oriented” thinking vs. more metaphorical and “universalist” thinking. Without boring readers with a description of categories, let me suggest that both George W. Bush and Mitt Romney operate on a level of more literalism (and it’s attendant us-them element) than does Barak Obama or candidate John Kerry before him. Even the conservative Ronald Reagan was probably more universalist than Bush or Romney. I DON’T happen to be particularly afraid of having a Mormon as President but I’m not at all fond of the idea, either, whether a Harry Reid or a Mitt Romney politically. But I do think Mormonism’s political maturation is ahead of its theological maturation, partly because most of the populace is at the same tribal-literalist level or only slightly higher, and is seriously afraid of moving into a more metaphorical or universalist level — it makes no sense to them, and actually appears as a LOWER level (or a going backwards, morally). He makes a might poor Jew. I don’t even think he has an ounce of knowledge concerning the Hebrew religion. No, Mitt Romney does not think he’s a Jew. He thinks he’s a Mormon. He’s probably right. The question I have answered for myself is: Does Mr. Romney’s choice of religion tell me he is intelligent enough to be President? The answer is no. Any questions? Thanks for answering one question. 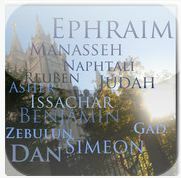 I already knew that Mormons saw themselves as one of the lost tribes of Israel. Because Romney sees himself, as a literal descendent of Ephraim or Manasseh, it makes sense he’d act as he did. He was identifying with his brothers. I suspect and expect that Mitt will be more passionate about defending Israel than Bush or some other conservative Christian. Although, I’m not sure of how the “New Jerusalem” idea plays into it.